The growing number of people converting to life without gluten may experience more benefits than indigestion relief; they could also have reduction in migraine headache. A new study suggests that gluten-intolerance is linked to headache. The study found that people with celiac disease or other gluten sensitivities are more likely to suffer from debilitating migraines and chronic headaches. Gluten is a protein found in wheat, barely, and rye. People with gluten sensitivities experience bouts of stomach pain after consuming pastries, pizza or other foods with gluten. For people with celiac disease, eating gluten can cause joint pain, vomiting, weight loss, and more. 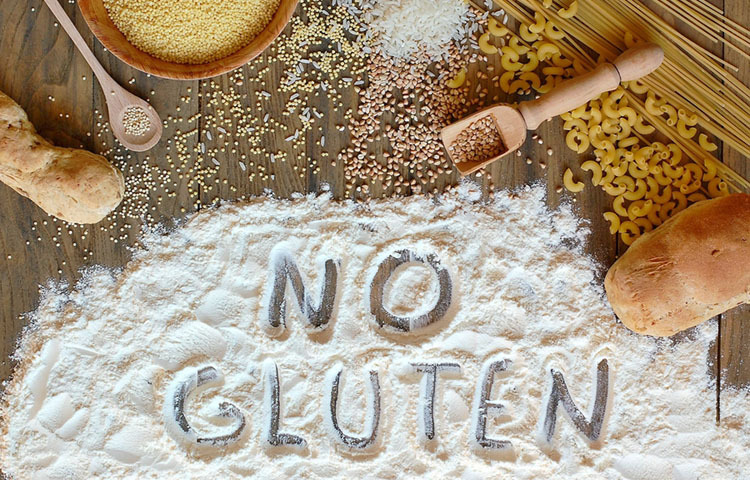 Only 1 out 133 Americans have celiac disease, but many people with inflammatory bowel disease or Chrone's disease may also be sensitive to gluten. Researchers from the Columbia University Medical Center surveyed 502 patients with gluten sensitivities, celiac disease or inflammatory bowel disease. The researchers found that chronic headaches afflicted 56% of gluten-sensitive patients; 30% of celiac disease patients and 23% of patients with inflammatory bowel disease. Only 14% of participants without gluten-sensitivities experienced chronic headache. Migraine was also more prevalent among the gluten-intolerant groups. Debilitating migraines were reported by 21% of celiac-disease patients and 14% of inflammatory bowel disease patients, compared to just 6% of the control group. Although previous research has demonstrated a link between the brain and digestive track, this is the first time American researchers have found a connection between celiac disease and other bowel problems with migraine headaches, co-author Dr. Alexandra Dimitrova told Health Day News. While more research is needed to understand the mechanisms underlying the connection between migraine and celiac disease, in the meantime, patients who suffer from both migraines and other bowel disorders may benefit from trying a gluten-free diet. A nutritionist or chiropractor trained in nutrition can guide in testing whether a gluten-free diet will relieve your migraines naturally. AAN: Migraine Prevalence Up in Celiac Disease, IBD Patients. Doctors Lounge. April 27,2012. Marcus, Mary Brophy. Migraine More Likely for People with Celiac Disease, Study Says. HealthDay News via Yahoo News. May 4, 2012. Accessed May 7, 2012.